In conjunction with Chapters 12, 13, and 14, plus the supplemental chapter: Drugs: Chemical Cures, Comforts, and Cautions, the student will select a prescription drug to analyze. The student will consult a PDR in the library. (OR)The student may use the Poop sheet provided with the drug. 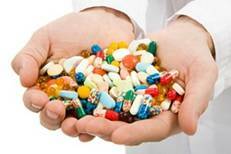 The student should select a drug of interest, or one prescribed by a doctor for the student to take.
. The student should consult at least three pharmacies to find the average price as well as an online pharmacy, plus compare the Name Brand versus Generic prices. What would the drug cost in Canada? The student will describe what the drug is suppose to do for the patient and for what condition. From Chapter 14 use the terminology what it does chemically. The student will close the paper with the precautions and side effects which may be experienced by the patient. Paper should be submitted as an attachment to an email.